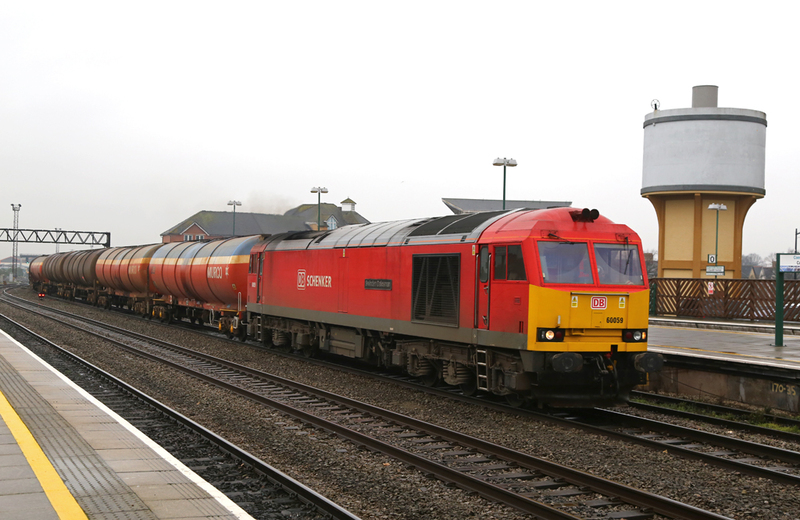 DB Schenker liveried Class 60 No.60059 'Swinden Dalesman' grumbled through Cardiff with the 6B13 Roberston to Westerleigh fuel in tow. 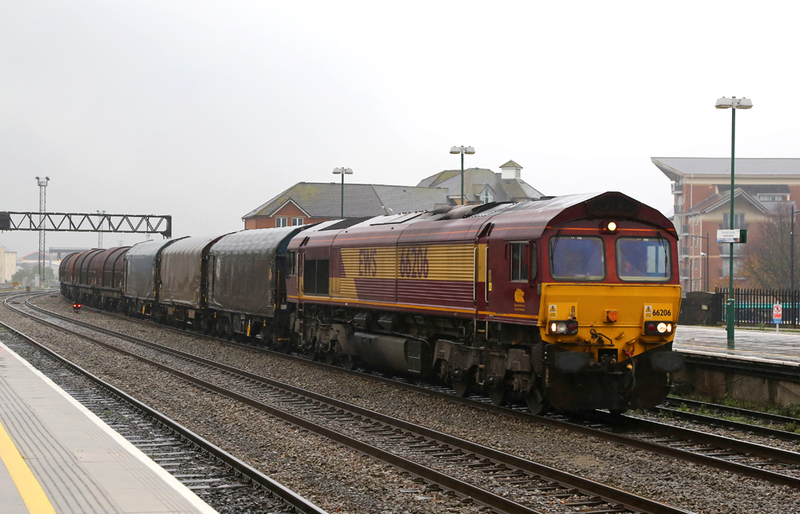 EWs liveried Class 66 No.66075 passes through Cardiff with the 6B70 Avonmouth - Aberthaw loaded imported coal train. 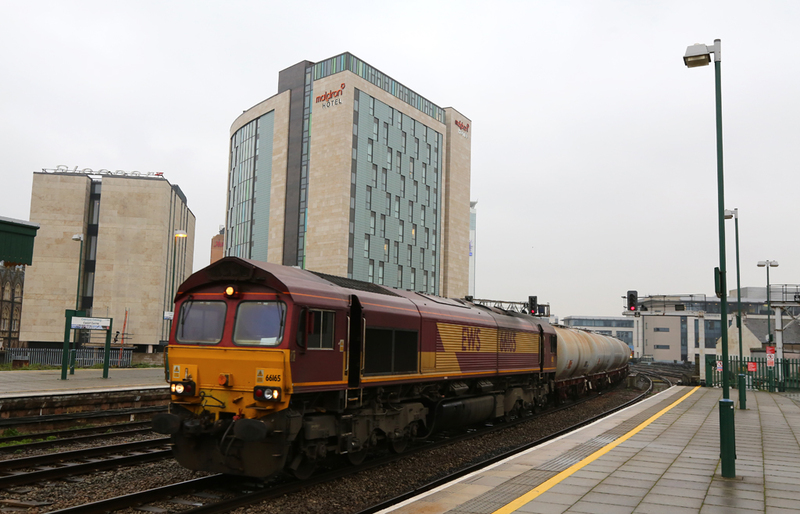 EWS liveried Class 66 No.66165 passes through Cardiff on with the short trip working from Newport ADJ - Cardiff fuel tanks. 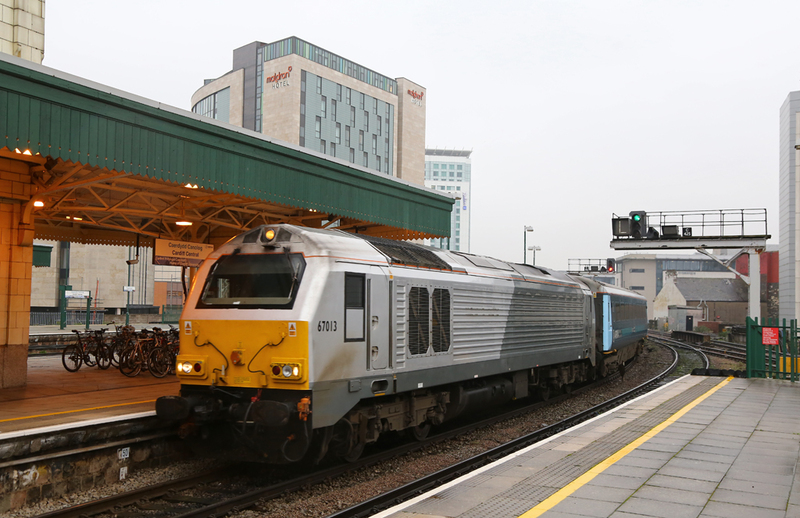 DB Schenker Class 67 No.67013 (carrying Chiltern Trains silver) arrives into Cardiff on the Arriva Trains Wales 1V31 05:33 Holyhead to Cardiff. 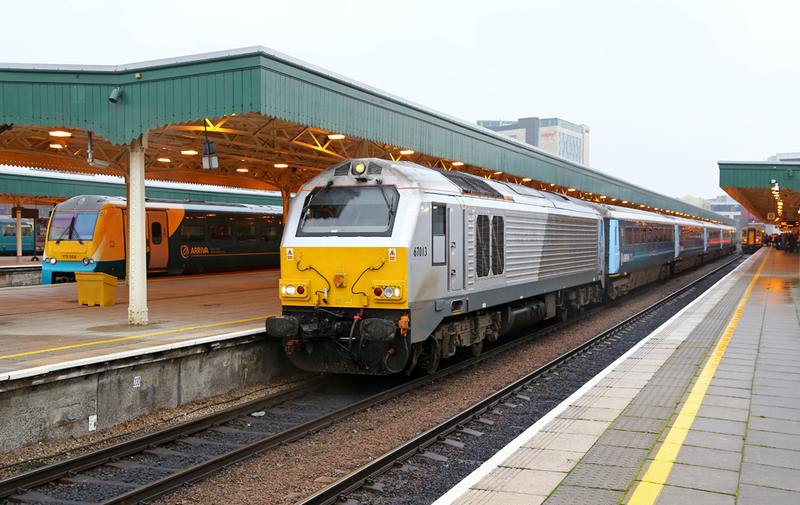 DB Schenker Class 67 No.67013 (carrying Chiltern Trains silver) stands at Cardiff having arrived with the Arriva Trains Wales 1V31 05:33 Holyhead to Cardiff. 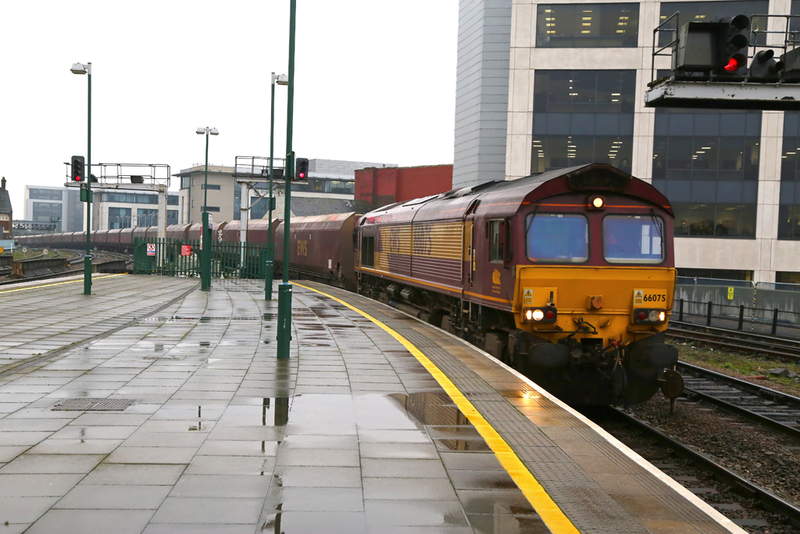 EWS liveried Class 66 No.66024 passes through Cardiff centre roads working the empty Aberthaw Power Station to Cwmbargoed to load with coal. 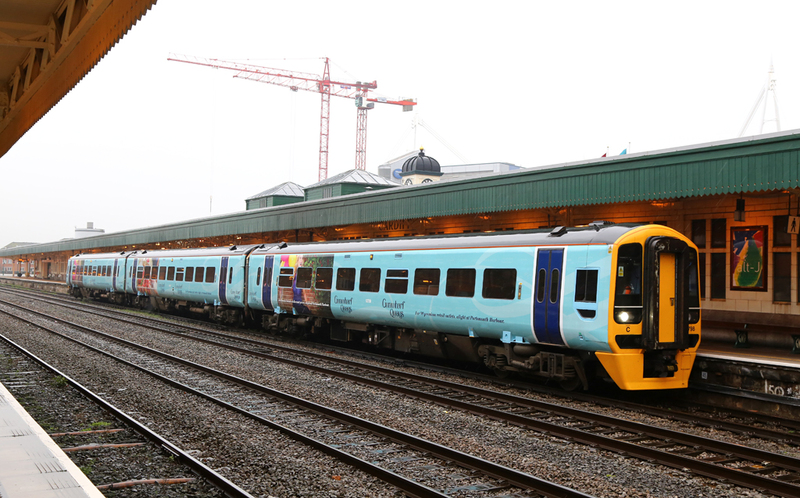 Arriva Trains Wales liveried Class 150 No.150279 arrives into Cardiff. 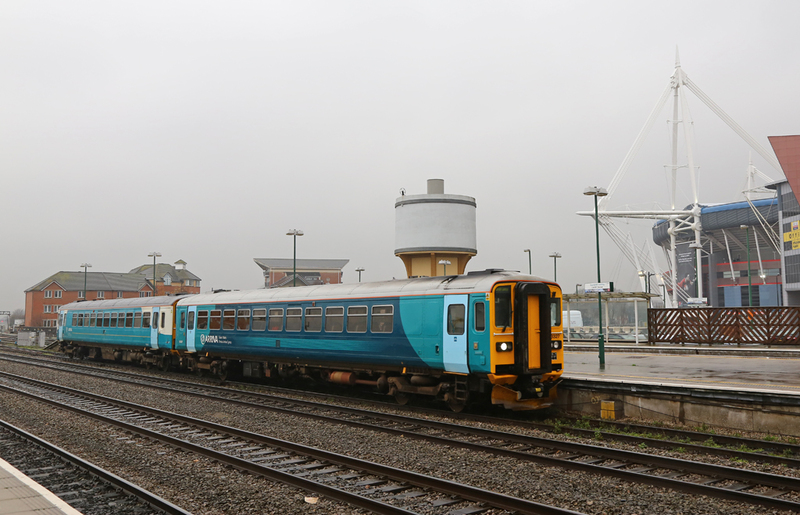 Newly re-liveried Class 143 No.143605 and 143601 arrive into Cardiff with a service from the Valley Lines. 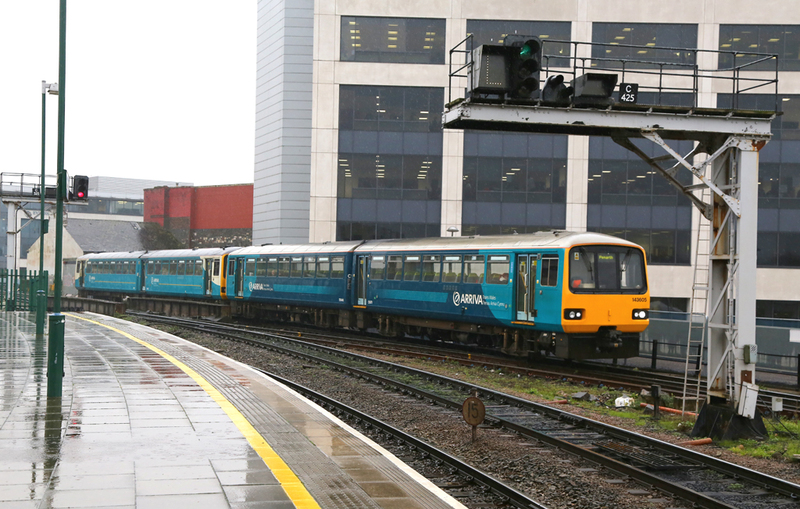 Two Arriva Trains Wales Class 153's arrive into Cardiff. 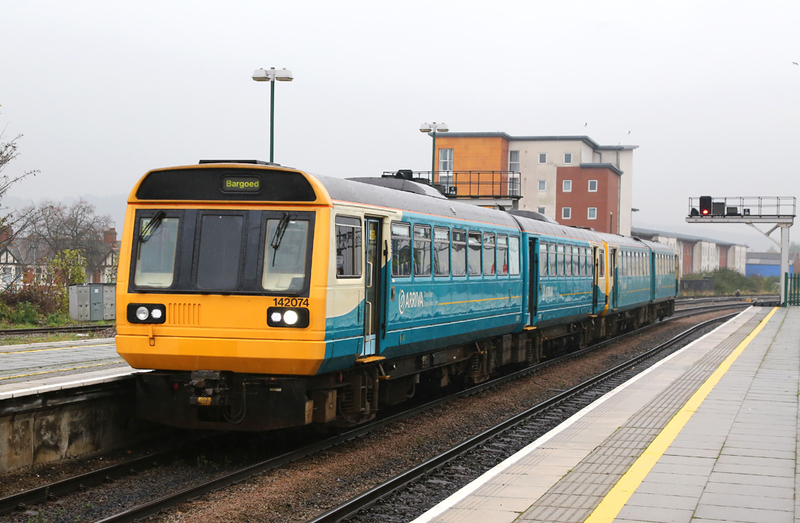 No.153327 leads No.153312 the pair operated the 2V36 05:16 Shrewsbury to Cardiff service via the Central Wales route, a journey time of over five hours! 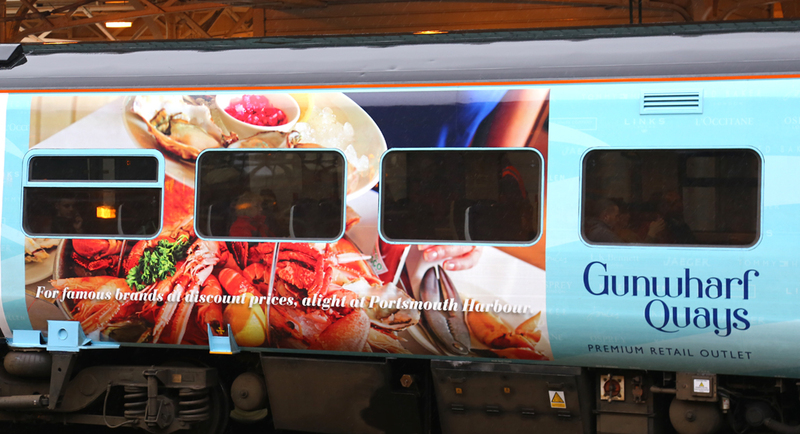 First Great Western have recently re-liveried one of their Class 158's into advertising for Gunwharf Keys in Portsmouth. 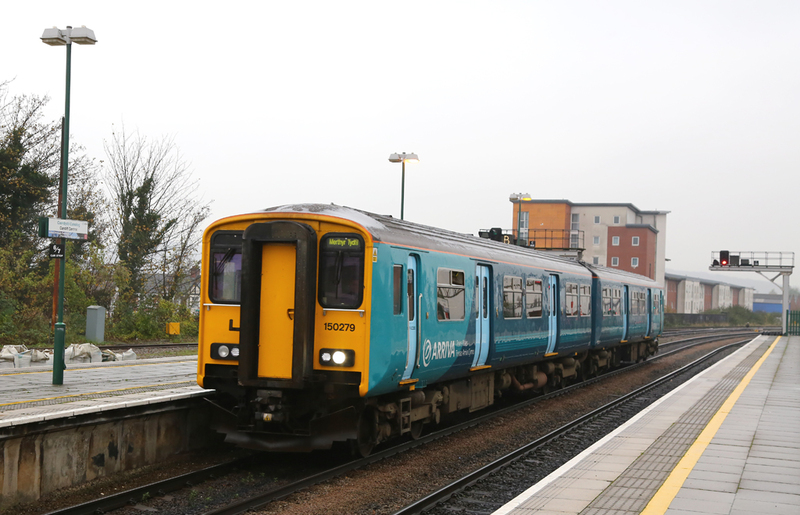 No.158798 is pictured at Cardiff waiting to depart with the 11:00 stopping service to Taunton, the day previous to this the unit was operating to Weymouth and had yet to visit Portsmouth. 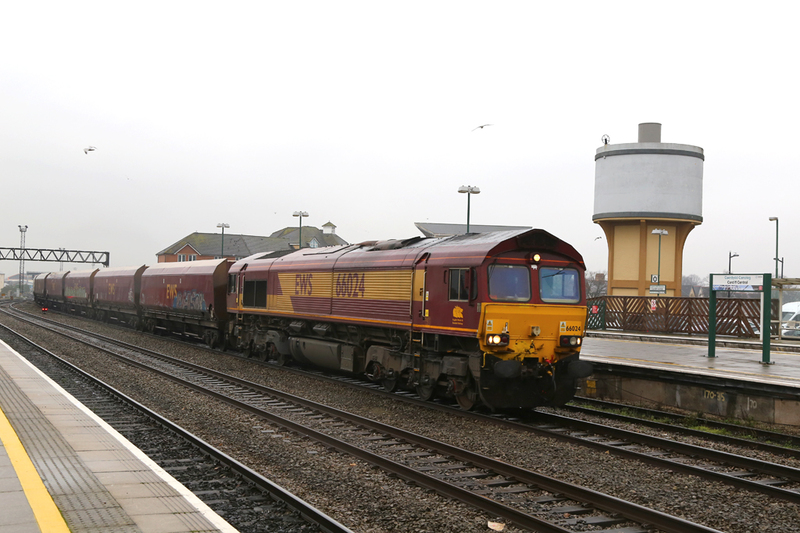 EWS liveried Class 66 No.66083 & No.66007 double head the 6F03 Newport Docks to Margam steel through the centre road at Cardiff heading west. 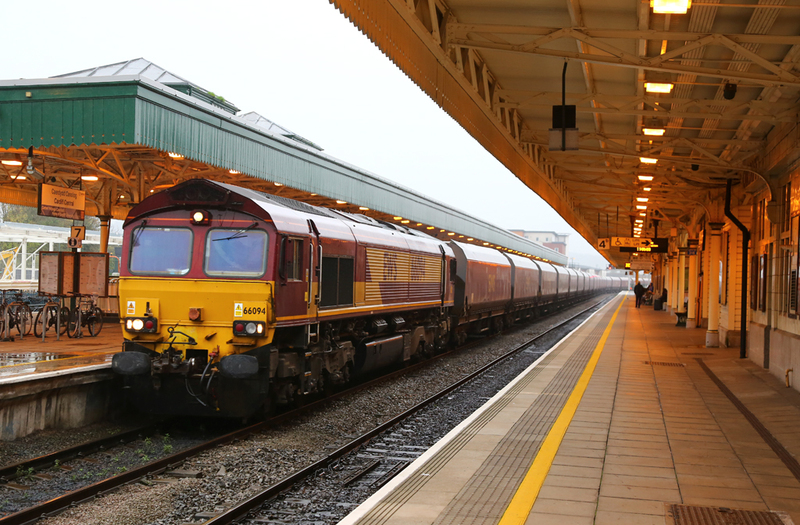 EWS liveried Class 66 No.66094 passes through the platform roads at Cardiff hauling the empty 4V01 22:56 Earles Sidings - Cwmbargoed. 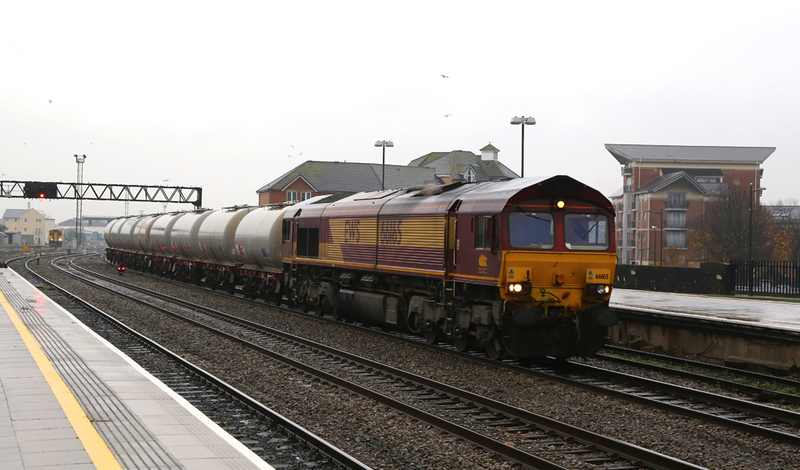 EWS liveried Class 66 No.66165 passes back through Cardiff hauling the 6B99 11:30 Cardiff to Newport empty fuel tanks. 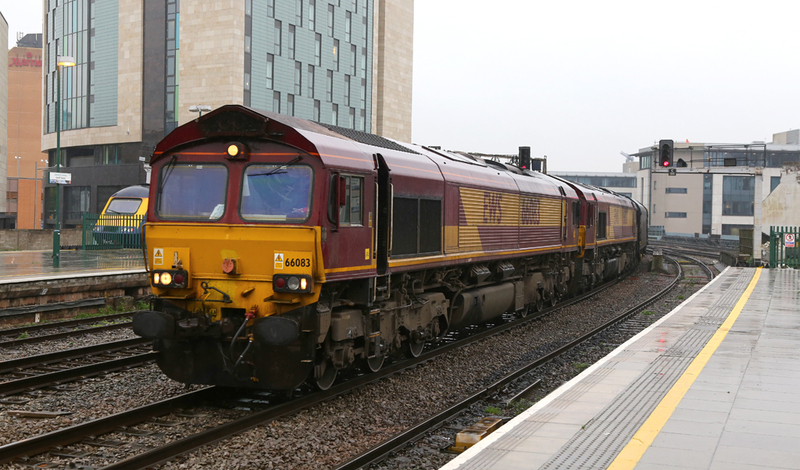 EWS liveried Class 66 No.66206 powers through the centre road at Cardiff with a Margam - Llanwern loaded steel train. 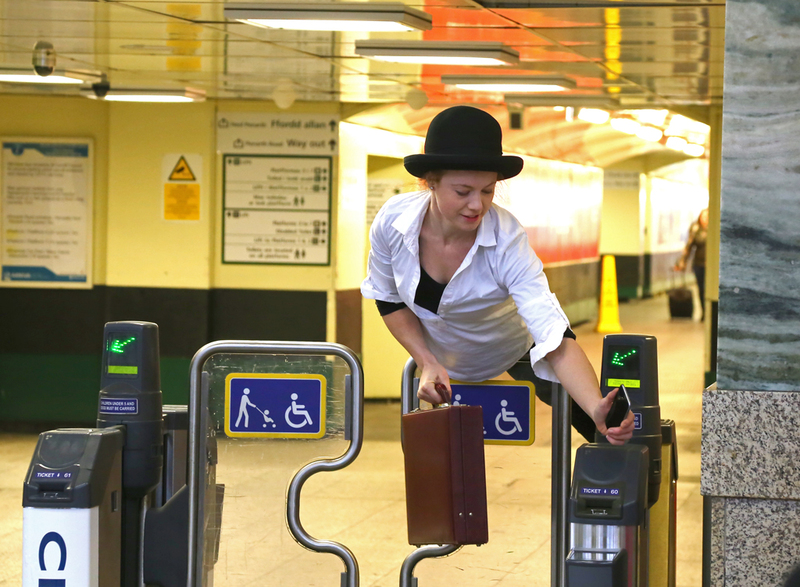 It's every day you see this novel method of entering the station, however this 'flexible gymnast' was pictured posing for various amusing photos in and around Cardiff Station for most of the morning. 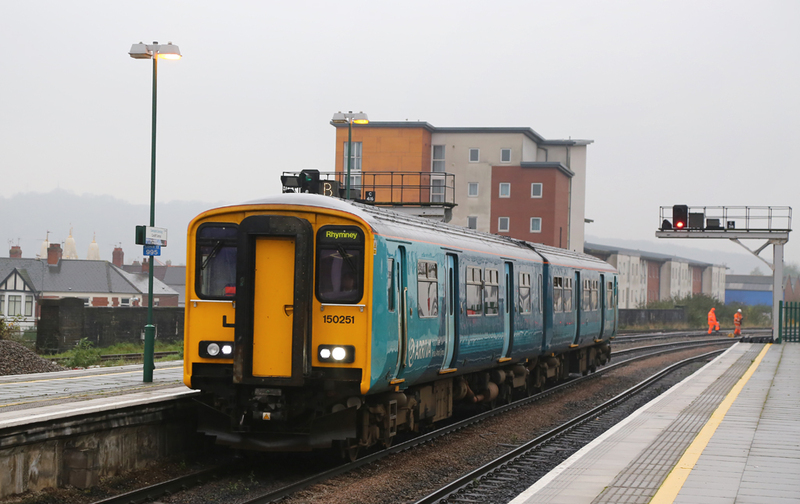 A source of entertainment for the general public, combined with a photographic shoot.